Shampoo for hair and scalp after sporting activity. 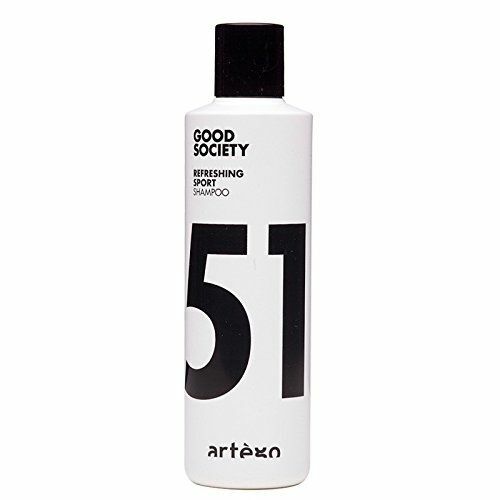 The Artego Good Society Refreshing Sport Shampoo is ideal for hair and scalp, not just after sporting activity! Without SLS / SLES and Parabene. The vegetable surfactants are enriched with magnesium, guar gum and glycerin to guarantee a gentle and effective cleaning performance. With the energizing smell of juniper, mango and sandalwood. Spread a large amount of walnut in hand-dried dry hair, froth and gently massage. Then rinse thoroughly.